Organizations from all business verticals are shifting to cloud computing owing to vast array of benefits offered by cloud. The phenomenal growth rate of cloud migration is propelled by extensive acceptance of cloud based applications including file and data sharing, CRM, ERP, sales force automation, supply chain solutions, and so forth. One must understand that the decision to shift applications and workloads to cloud should be taken by weighing all pros and cons of cloud systems. Cloud migration is a significant step for any organization and it should not be implemented unless one is thoroughly convinced about the relevance of the same. Let us look into the most compelling advantages of cloud solutions. Majority of companies shift to cloud due to on-demand scalability of these applications. Legacy hosting solutions including colocation or dedicated hosting are not able to scale up or scale down as swiftly as cloud applications. Quick scalability is extremely essential for handling sudden bursts of demand or managing special events including seasonal campaigns, special drives, and customer engagement initiatives. You can scale up cloud resources deploy additional cloud instances to ensure seamless availability of your services. These resources can also be instantly scaled down after the demand phase is over. Instant scalability of cloud solutions offers dual advantage. It ensures uninterrupted availability and also helps organization optimize their expenditure. The cost effectiveness is further enhanced by the utility based payment system. 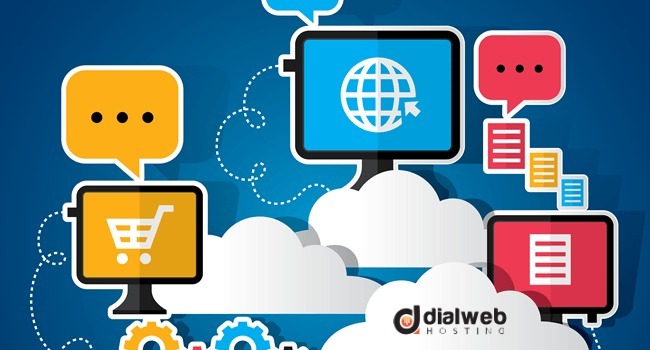 In traditional hosting, users need to pay for fixed amount of resources irrespective of actual consumption. This can lead to the situation wherein a user is paying unnecessarily for the resources that remain unutilized. Cloud based applications are deployed instantly due to state of the art automation. In any business category, ability to respond to business opportunities in real time can enhance overall agility of the organization. Organizations can quickly adapt to new environments of operations and can create testing environment without impacting availability of existing operations. One should not move to cloud unless all aspects of cloud environment and the potential risks are addressed. One of the most extensively debated aspects of cloud based applications is security criterion of cloud. There have been instances of accessing encryption keys on some of the virtualized infrastructures. The most critically vulnerable environments are the third party hypervisor infrastructures that are commonly outsourced. We have seen the amazing advantages of automation in cloud hosting. However this attribute of cloud can also play havoc by causing irreparable damage to organizations mission critical infrastructure. It can lead to large scale modification or deletion of sensitive data due to an inadvertent mistake by someone or due to an error in programming during deployment of the application. The most logical solution to this issue is prior testing of the tools in a simulated environment and using the tools that facilitate a simplistic yet vital option of ‘undo’ to obviate possibility of errors. Vendor lock-in is the commonest and the most serious concern that can seriously hamper capability to migrate your workloads to another provider. One must have an in depth knowledge of the technological abilities of service provider to facilitate smooth migration of system. Having finalized the move to cloud, the next logical step is to choose the perfect service provider to enable your organization adopt cloud capabilities without any hassles. Service Level Agreement needs to cover vital issues that are related with performance capabilities. You should critically assess escalation policy and capability of provider to address server issues and related turnaround time to get your application up and running again. The MTBF (Mean Time between Failures) factor should also be determined for understanding the actual efficiency of services. Organization should make a detailed analysis of application requirements of your organization and understand the scope and extent of cloud applications that are optimally essential. The details to be analyzed should include bandwidth CPU space, and logical storage requirement for these applications vis-a-vis existing requirements. It is always better to test run the applications by using soft-deployment methods to understand compatibility of cloud system with existing environment. If you are able to choose your provider prudently and prepare your organization to handle issues such a s lock-in, the cloud adoption will pave ways for a wonderful future for your organization.